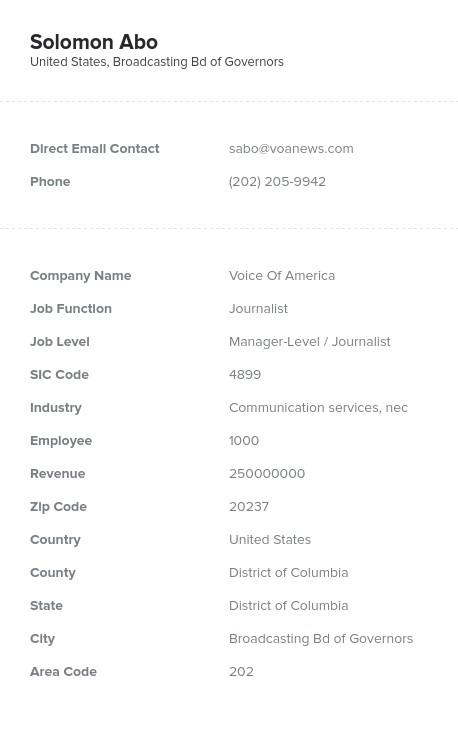 Get the word out about your product or service that can help those in the news media do their jobs with this pre-built journalist email database. You can inform those who inform the public in just minutes using this list! A journalist is often up against a strict deadline, and working in a newsroom doesn't always follow standard business hours. To reach these busy professionals who need your products, you need a journalist email list that will help you make the most of that first contact. You need a B2B email list with accurate and comprehensive information, much like the reports that journalists compile every day, and that is what you'll get when you buy this pre-made journalist email database. It's easy to tip off journalists about your products with this journalist mailing list, which contains all of the sources you'll need to make connections and close deals. Sometimes, marketing to journalists can feel like trying to hit a moving target, but the key is to have a journalist email list that contains the email addresses and phone numbers journalists actually use. We work hard to make sure that the journalist email database you buy from us is accurate and up-to-date, just like the stories that these professionals report on every day. With our journalist mailing list, we make it easy to give reporters and editors the scoop about your business. Go to press with an effective marketing campaign thanks to Bookyourdata.com!